I am always drawn to reflections. 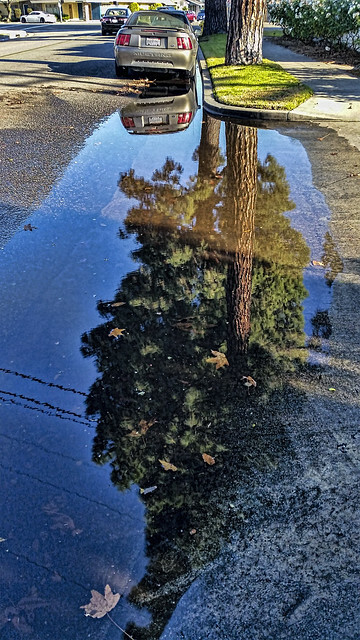 Here you see not only the pines reflected, but also lost leaves floating in the water. These pines are beautiful, majestic, but here, as reflections, they are somehow less imposing; even still, they hold a kind of mystery, a magic.